You are here: Home / Get Your Time Back! You’re going nonstop & just don’t have time to work on the business. We know your pain. We can help. We implement the infrastructure and automation to make your business work for you! You are already busy running your business. But, you know you need to do something. You know there is a better way. You can continue grinding, finding customers through word of mouth, referrals, attending countless networking events. But will there ever be an end to the early mornings, late nights, missed events, countless responsibilities and financial pressure? Your business health is affected by things you have no control over…periods of feast, periods of famine, good customers, bad customers, good projects, bad projects. You could work longer. You could work harder. And delve into the world of marketing. AND having time to use as you see fit! With a small investment in time, we can meet with you and understand your business. We will bring you up to date on marketing principles that work! 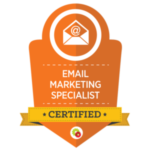 As a DigitalMarketer Certified Partner, we help implement DigitalMarketer’s cutting edge marketing tools and techniques. DigitalMarketer is a $40M marketing research and training company that actually uses the methodology they teach on their own companies under the Native Commerce brand Over the past 36 months, they’ve spent $15M on ads and tests. So the methodology we use isn’t just a one-off. It’s proven and demonstrated over & over. 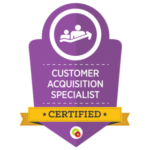 We lead clients through the customer value optimization process, understand their business deeply and architect a site built to speak to your customers’ problems, integrate to marketing automation platforms or email marketing services and pull them through the conversion process. And after we’ve brought you up to speed, architected the plan, reviewed it with you, gotten your feedback and sign off, and started implementing for you, we can handle your ongoing marketing needs. We can help with the build out of your full funnel. We will handle everything from traffic acquisition to content to lead collection, prospect conversion, customer value optimization, drip marketing and more. 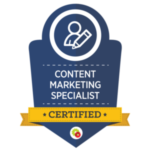 Once that is in place, we can help with ongoing content creation. We will help plan what content needs to be developed, what goes where and even work with your staff to produce it. We will set your social platforms up if needed and help drive engagement and prospects to you. We will continue to monitor, test and tune your funnel and work to improve conversions along the way. 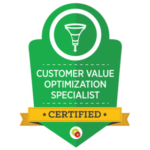 We will maintain your entire customer value optimization system ongoing.